Friday before I left work I kicked off the upgrade to Mac OS 10.6.3 on the MacBook Pro (MBP) I use at work. I’d already upgrade my personal MacBook at home (that I got a deal on at MicroCenter) and I didn’t have any observeable problems or issues and I was confident that I could upgrade and not bork my work environment. When I arrived back into work on Monday it looked like the upgrade had completed. I logged into the MBP and my Bluetooth MagicMouse wasn’t working, and all bluetooth settings were unavailable and grayed out (both on the status bar, and in System Preferences). I figured something had gotten out of sync during the upgrade and I thought a reboot would fix the problem. Rebooting didn’t fix the problem, but manually reinstalling the upgrade did solve the problem and Bluetooth is active and settings are accessible. However, when I tried to sync with my phone, a Sony Ericsson C902, the connection keeps dropping. 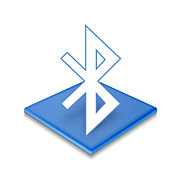 So Bluetooth in 10.6.3 might be a bit flaky. For me what happened is that X wouldn’t start properly and cause my Lenovo T400 to freeze and lock up. The laptop would boot but when X would start (when the login screen appears) I’d get a black screen with red lines at the top. To solve this I booted to runlevel 1, also known as failsafe mode. If your using a laptop with wireless, I suggest you connect directly to your router using a network cable, otherwise you may have to configure wireless manually (it’s not that hard). When your system starts, select failsafe mode, on the next screen to appear choose the option to go to a “root shell with networking”. If this doens’t work for you see the Ubuntu page mentioned above. I recently got an Lenovo T400 and this thing works great with the latest version of Ubuntu (Intrepid). To install Ubuntu, you have to make sure you edit the BIOS settings and change the graphics to use one of the 2 build in graphics cards. If you want to save the Vista bootloader and access to Lenovo’s restore partition, you must not install grub on the MBR (Master Boot Record). Instead, install grub on the same partition as where the kernel resides. (This will be either /boot or / ) Then install EasyBCD¹ on Vista and add Ubuntu to Vista’s bootloader. I was going to install Debian on the laptop, but I went w/ Ubuntu Intrepid instead as it has a 2.6.27 kernel which (supposedly) has better support for some the hardware on the T400 (and for my new Sony MP3 Walkman). I could have installed Debian and compiled my own 2.6.27 kernel, but these days I couldn’t be bothered spending ages compiling, testing, and debugging my own kernel. However, I’m still partial to getting Lenovo’s T400 over a Dell.